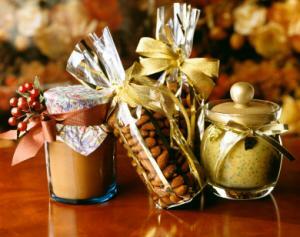 Homemade Christmas gifts in a jar are thoughtful and cost-effective presents. Choose from a variety of themes that can be put into a large-mouthed canning jar for holiday gift giving. A great gift is a jar of your specially blended cooking spices. 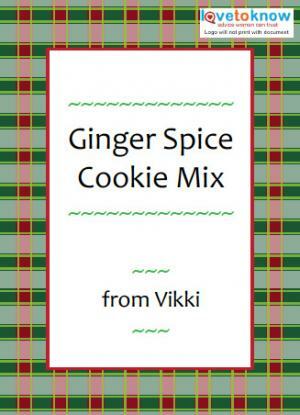 Be sure to include a card with directions on how to use the mixes. You may also add a recipe card if you wish to share your recipe. If you don't have a favorite recipe, use the ones below. Add more heat using small amounts of powedered cayenne pepper, chile pepper or jalapeño peppers in 1/2 teaspoon increments until you reach your desired amount of heat. You can layer all the spices or you can mix them together when adding to the jar. If you choose to layer them, be sure to add "mix well before using" to the directions you provide to your recipient. Apply one to two tablespoons of dry rub per pound of meat. Rub or sprinkle onto meat prior to cooking. May reapply during cooking time if greater flavor is desired. Layer the spices or mix them together before adding them to the jar. If you decide to go with layers, include "mix well before using" to the directions you provide to your recipient. Sprinkle to taste mix over vegetables, meats, poultry, and fish when grilling, baking, sautéing, or broiling. If baking or sautéing, use extra virgin olive oil with the mix. 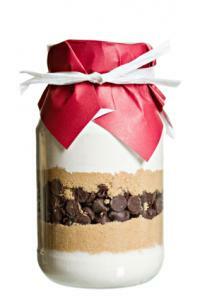 A popular Christmas gift to give in a jar is a yummy dessert treat. 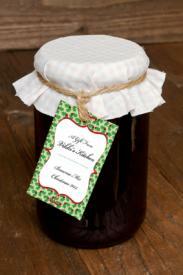 Finish off the jar by screwing on the lid, covering it in paper, and tying it with ribbon or festive fabric. Desserts don't have to be treats - drinks can fill the bill as well. 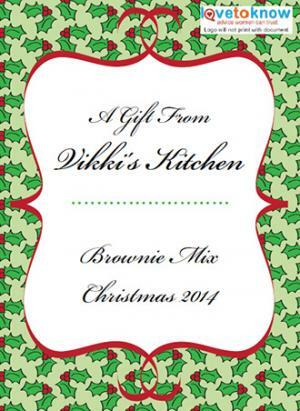 Dry hot chocolate mix will be a welcomed gift in the cold winter months. In a large bowl, mix ingredients together. Place in food processor and use pulse feature until mix is a fine powder consistency. 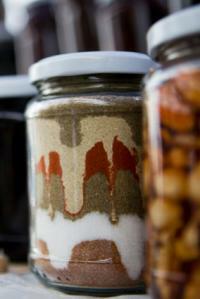 The mix can be stored for three to four months if kept in airtight container. Use 1/3 to 2/3 cup of mix to eight ounces of milk or water. The rule of thumb is six ounces of mix to eight ounces of liquid. For the best taste, use four ounces of half and half and four ounces of whole milk. Stir milk/half and half in saucepan over medium heat, being careful not to scald milk. Stir in hot chocolate mix and blend thoroughly. Remove from heat just before milk comes to a boil. Serve the drink in an eight ounce mug. As desired, top with whipped cream, toppings, or stir with a flavored stick. If time doesn't allow mixing your own hot chocolate or cocoa mix, opt for a delicious gourmet hot chocolate blend to place in the jar. 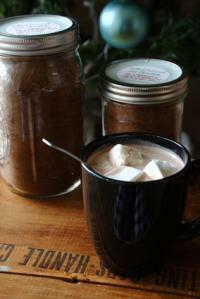 Alternatively, place several hot chocolate sticks in a jar with peppermint crunches or peppermint patties. Give the recipient a break from all the sweets of the season and give them something delicious for dinner. Colorful and interestingly-shaped pasta is another good option to put into a jar as a gift. Also consider adding another jar containing the dry ingredients for a favorite sauce. Tie the instruction card to the jar mouth with raffia or a red ribbon and put both jars into a decorative basket with a new oven mitt. 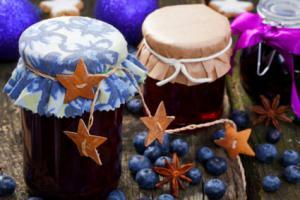 Jams and jellies are gifts you can make yourself and present to your friends, family members, and neighbors. Consider picking your own berries during their peak season and canning some jams or jellies so they are ready for the gift-giving season or you can buy fruits at the store and make them during the season. Use your favorite recipe or give a new recipe a try. Try picking up ingredients for delicious salsa while visiting neighborhood farmers' markets in the summer or an indoor one during the colder winter months. Make multiple batches of salsa in one afternoon, and store the jars in a cool, dark place. When the busy holidays arrive, all you'll have to do is add some decoration to the jars. Within minutes, you'll have a present with the fresh taste of summer to give to teachers, neighbors, and members of your book club. Write "Feliz Navidad" on the jar label for an authentic Mexican touch. Include all dry ingredients required to make a tasty vegetable soup or another favorite. Include all dry ingredients required to make it and may give it along with a jar filled with all the ingredients for a loaf of fresh bread. Consider giving the gift of a couple of new soup bowls with the jar or tie a decorative soup spoon to the mouth of the jar with ribbon. Put some personal care and beauty products in a jar to give as a gift that will allow the recipient to pamper herself and recoup from a busy day of Christmas shopping. You can style this bath favorite to a specific form using mint tray forms, small muffin trays, ice cube trays, small cups, a melon scoop or ice cream scoop. You can mix up the recipe as long as you maintain the 2:1 ratio for baking soda: citric acid. When these two ingredients are combined with water, it creates bubbles due to the chemical interaction. The fizzies can be in a jar all by themselves or you can wrap individual fizzies with cellophane and ribbon to include in a jar with other items. Fill spray bottle with distilled water and four to six drops of food coloring. Mix citric acid and baking soda together and sift into a glass bowl. Spritz colored water onto mixture until damp, being careful not to over-spray because it will create fizzing reaction. Add essential oil, one drop after another, until scent is at the desired level. Add other Epsom salt, olive oil, vanilla extract, and mix with spoon until thoroughly mixed. 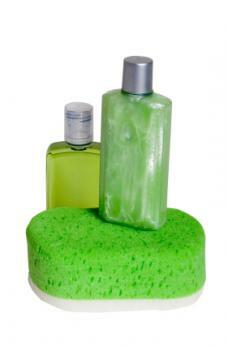 If mixture dries out, spritz lightly so it can be packed easily. Use shaper you selected and mold the mixture. Place onto waxed paper or, if using a tray form, place trays out of way. Allow to dry two to 12 hours before removing and placing in jars. Most hobbyists appreciate new items that support their interest. Put an assortment of fishing lures in a jar for the fisherman in your life. 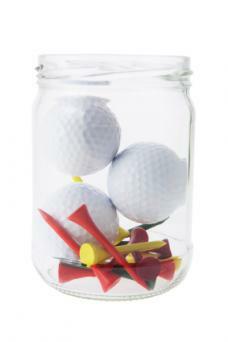 Add tees and golf balls to a jar for a golf enthusiast. Pack a funky-shaped jar full of guitar picks in all shapes and sizes for your favorite guitarist. Include some dog biscuits and a small dog toy in a jar for a dog owner. Movie rental store gift certificates, popcorn, and individual bag of candy make a great gift for the cinematic lover in your life. Fairy garden enthusiasts might like additional small pebbles or glass stones, LED candle voitive, and some extra battery-operated mini lights. Give the music lover a jar that includes tickets to a concert, book about a favorite artist, and gift certificate to download more tunes. Add a small journal, assorted luxurious pens, and a mini thesaurus to a jar for a writer. Energy bars, moisture-wicking socks, and new ear buds can be put in a jar for the fitness fanatic on your list. Use Adobe to download the free labels for your jars so your friends and family will remember what's in them and who they are from. Size them to fit your jar and securely tape them on. Click to download the plaid jar label. Click to download the holly label. Tie a piece of raffia or ribbon around the neck. Attach a decorative bow on the lid to give it a festive look. 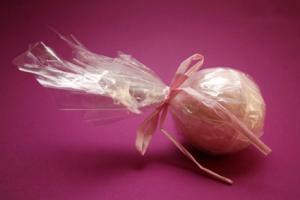 Place jar in a gift bag or Christmas stocking with related items and a card. Cut fabric with serrated scissors, place cotton batting over jar lid and cover with fabric. Push jar ring over lid, locking in the fabric and batting. Tie ribbon around ring. Cut piece of fabric larger than jar and cinch top with ribbon to create a cloth wrapping. Those on your Christmas list will appreciate the time and thought you've put into your homemade gift. The jar will offer an ideal way to store until the contents are used. Be sure to make the outside look as attractive as the inside.